Are you looking for used Dodge cars for sale in Marysville, yet you are not quite sure where to go for the best pricing and selection? The last thing that you want to do is find out that you have chosen a private sale or a used car dealership that is not upfront about vehicle condition. This is why so many people turn to Carson Cars whenever they need a newer vehicle at a great price and in perfect running condition. Each of the vehicles that you will find on the lot at Carson Cars has been through a tough inspection process. Additionally, they come with a guarantee that will give you all of the peace of mind that you need to make a smart buying decision. From the moment that you purchase your used Dodge car and you drive off of the lot, you are part of the Carson Cars family. Whether you need regular maintenance or repairs down the road, you can always count on our staff to take care of you. Even if you are not quite sure that your credit is good enough to lock into a great loan with a low interest rate, you can rest assured in knowing that our in-house finance team will be able to get you approved and all set to drive away happy. 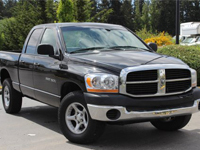 Buy your next vehicle with Carson Cars and shop used Dodge cars for sale in Marysville. Call us (855)583-9356 today for selection and pricing information. From the moment that you arrive on the lot at Carson Cars, you will have all of the customer service help and selection that you need to make a perfect buying decision to suit your needs.